The AWS CloudHSM service allows you to protect your encryption keys within HSMs designed and validated to government standards for secure key management. You can securely generate, store, and manage the cryptographic keys used for data encryption such that they are accessible only by you. AWS CloudHSM helps you comply with strict key management requirements without sacrificing application performance. 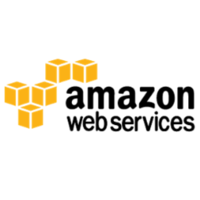 AWS CloudHSM is a tool in the Data Security Services category of a tech stack. Here’s a list of reasons why companies and developers use AWS CloudHSM. Protect and store your cryptographic keys with industry standard, tamper-resistant HSM appliances. No one but you has access to your keys (including Amazon administrators who manage and maintain the appliance). Use your most sensitive and regulated data on Amazon EC2 without giving applications direct access to your data's encryption keys. Store and access data reliably from your applications that demand highly available and durable key storage and cryptographic operations. Use AWS CloudHSM in conjunction with your compatible on-premise HSMs to replicate keys among on-premise HSMs and CloudHSMs. This increases key durability and makes it easy to migrate cryptographic applications from your datacenter to AWS.